A Kentucky single car accident has injured the driver and killed the passenger. 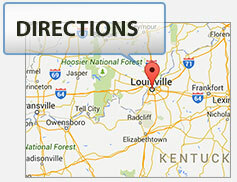 The accident occurred on Tuesday night June 21, 2011 on Ky 167 in Wayne County, Kentucky. Wayne County is closely located near Lake Cumberland. The single vehicle crash involved a 1996 Jeep, traveling south bound on Ky 167, and driven by 82 year old John Warner of Moticello, Kentucky. It is reported that the vehicle left the road and struck a tree. John Warner was hospitalized due to his injuries. The passenger in the vehicle, Ida Warner, age 63, was pronounced dead at the scene. Both occupants of the vehicle were wearing seat belts.